For some twenty years, Dan Flynn worked as a legislative aide to high-profile senators and assemblywoman Patricia Wiggins where his job focused on managing the ins and outs of Sacramento politics. 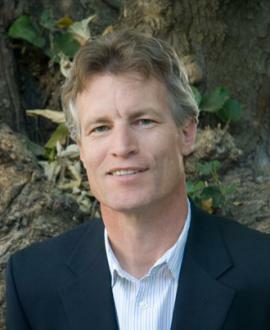 Since 2008, as Executive Director of the UC Davis Olive Center, Flynn’s focus has been on supporting the state’s olive oil industry by undertaking important research studies, offering educational programs and outreach services to an increasing number of California businesses dedicated to making world-class olive oil and growing at an impressive rate. In a relatively short timeframe and under Flynn’s guidance, the Olive Center has advanced many important issues, helping to champion newly-enacted federal and state laws, fielding research and raising public awareness. Flynn credits it to a great deal of cooperation and support within the industry and sees every year yielding exponentially greater results. Six years ago, I connected with Sal Genito, director of grounds at UC Davis, because I heard that he had a landscape hazard where olives were falling on the bike path, leading to accidents and lawsuits. He wanted to harvest the trees and make olive oil. I wrote a feasibility report, then Sal appointed me to manage the UC Davis Olive Oil program. The UC Davis Olive Center evolved from there. Educating consumers, buyers, and chefs. Legislation to fund olive tree research, a research agenda for 2011, and a master milling short course. Grilled bread rubbed with garlic and doused with olive oil. My seat at the kitchen table. Besides two impressive teenage sons, I’d have to say the UC Davis Olive Center. In 2008, the Olive Center sponsored a lunch with Slow Food Yolo at the university’s Wolfskill orchard in Winters, California. We had 150 people sitting at one long table, under 150-year-old Mission trees. Grilled lamb, roasted vegetables, wine, beer -- all local. Darrell Corti provided a blessing of the oil, and many of the key supporters of the Olive Center were there from the industry and university. There was a generous spirit in the air. Launching fee-based sensory evaluation and chemical-testing services for the industry, as well as producing a “President’s Blend” olive oil that will be available at all UC campuses.